Adrien Dumont de Chassart prepares for his next putt at the Olympia Fields Country Club/Fighting Illini Invitational in Olympia Fields, Illinois, on Sept. 16. 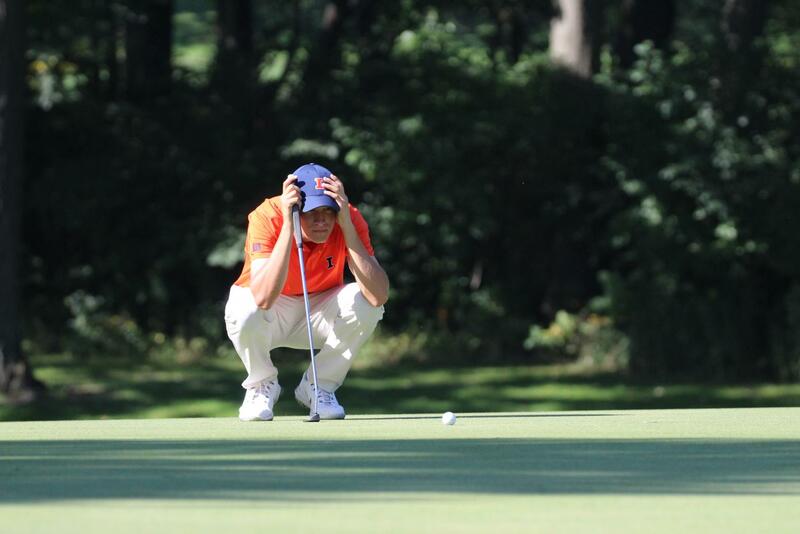 The Illini finished in sixth with a score of 22-over-par. 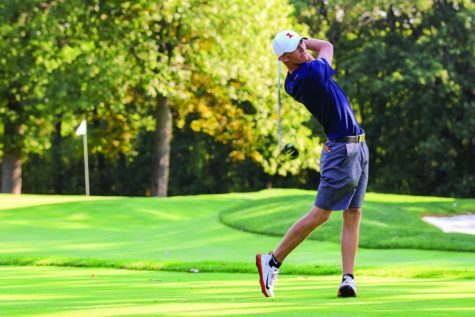 After the Illinois men’s golf team competed in the Macdonald Cup in late September, head coach Mike Small talked about how he thought there was no clear leader on the team since all of his golfers had been emerging as leaders. As the season goes on, Small’s statement has held true, as the biggest performances on the team have come from multiple different juniors and freshmen. When the team competed at the Tar Heel Intercollegiate last month, Belgian-born freshman Adrien Dumont de Chassart led the competition with an individual first-place finish and helped the team secure second place in the event. Dumont de Chassart shot nine-under-par to win it, six shots better than the second place finishers. This performance earned him the Big Ten Golfer of the Week award. Winning first overall wasn’t a random occurrence for Dumont de Chassart. 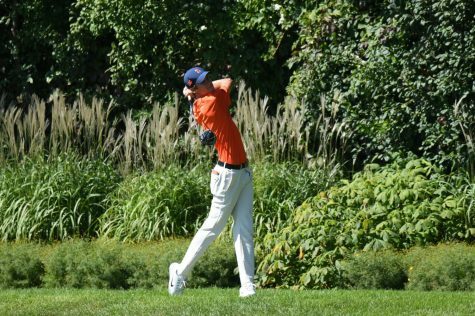 In Dumont de Chassart’s second tournament with the Illini, the Macdonald Cup, he tied for second alongside junior Bryan Baumgarten. Dumont de Chassart shot five-under-par in the last round alone to put him into second. Dumont de Chassart has put together a productive year so far, but this isn’t unexpected from this program’s freshmen. Freshman contribution is evident when looking back at some of the current players’ freshman years. 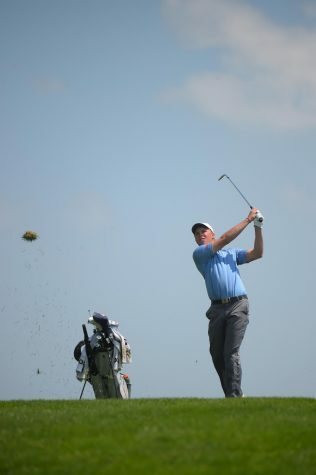 Another Belgian golfer, junior Giovanni Tadiotto, also had success in his freshman year. Tadiotto had the same path as Dumont de Chassart. 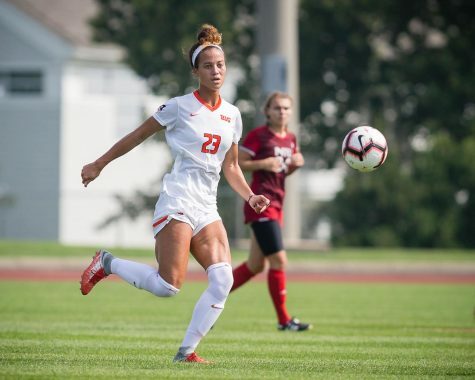 They both attended College Du Christ Roi in Belgium before playing for the Illini. Tadiotto finished in the top-10 in the Big Ten Championships his freshman year, helping the Illini win the tournament. He also appeared in the line-up for the NCAA tournament team. Current junior Feagles was great his freshman year. Feagles was named Big Ten Freshman of the Year for the 2016-17 season and was named to the All-Big Ten team. He also was in the lineup for the Illini in the NCAA tournament. The program’s history is not lost on the players, and Dumont de Chassart sees his award as a part of the expectations of the program.